It’s almost that time of year again! The cooler weather, changing colors, and pumpkin spice lattes. Oh fall how I love you so. 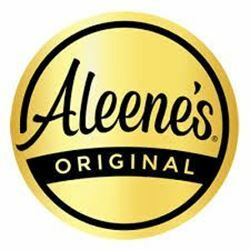 There is no doubt pumpkins are a familiar sight this time of year and today I’m sharing how to bring some fall decor to your home with a few supplies a book and Aleene’s Original Tacky Glue. First thing you’ll have to do is to remove the front and back cover. Sketch out a pumpkin to fit the size of your book when folded this will be your cutting template. 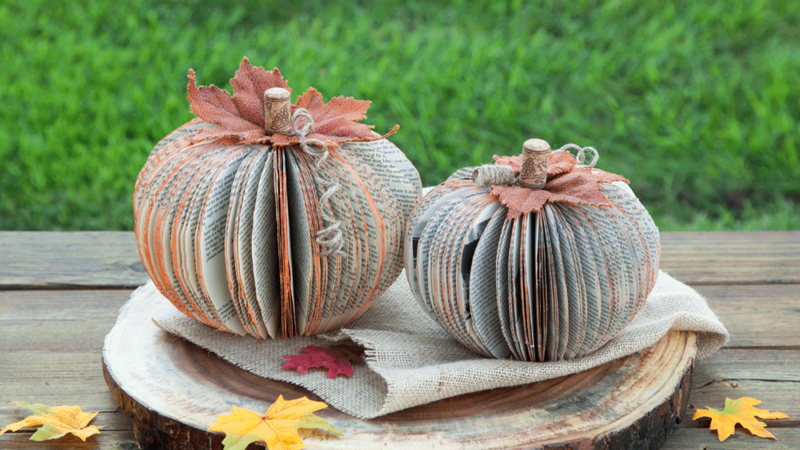 You can also just print out a pumpkin and modify the image to fit your book. Fold the pumpkin sketch in half; you’re only going to use one half of the template. Slide the self-healing mat under 5-6 pages. Place the template on top of the pages trace with a pencil and carefully use the X-Acto knife to cut the pages along the line. Limit the number of pages you cut at one time to about 5-6. If you stack too many pages, the knife may not cut through them cleanly. 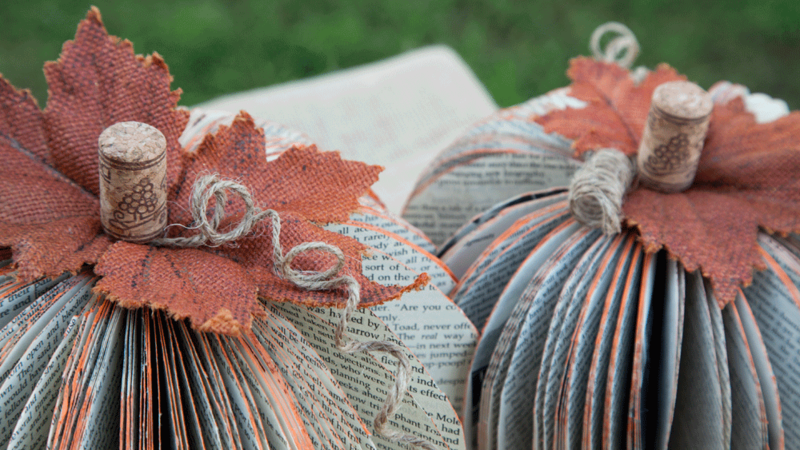 If you want to add some charm to your pumpkin, Fold the book and use a sponge brush to apply several coats of craft paint across the outside of the pages. Allow to dry. Use Aleene’s Original Tacky Glue to connect the two sides of the book together along the spine. You may also want to glue the two end pages together for a better hold.